Bono in football? Follow his path to power! Hi guys! This is my first ever story on FM Scout. 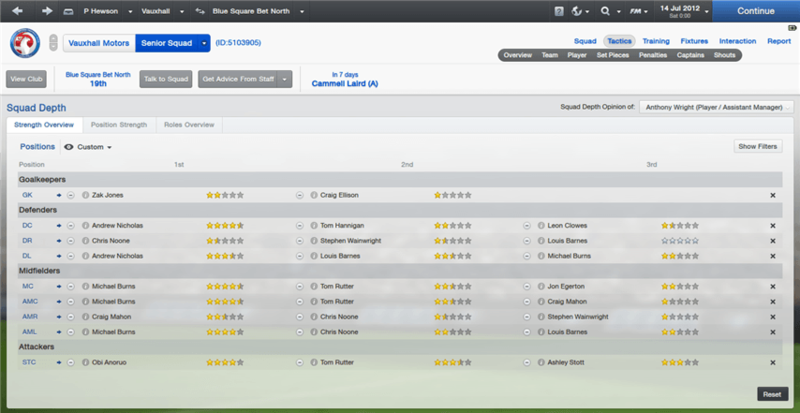 I decided to throw myself in to the deep end and try a Lower League Management challenge. The one team that caught my eye was Vauxhall Motors. I decided to take a closer look at the club and I liked what I saw. I promise that this story will last for more than ten seasons. 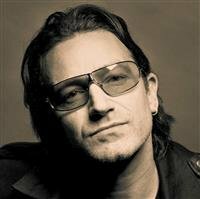 For this story I will be Paul Hewson, more commonly known as Bono. (I am not actually him!) One of the most famous singer-songwriters in history has decided to try his hand at football management. With an abundant of riches gained through his musical work, wages are no concern for the Irish-born Celtic fan. His choice to take the job at Vauxhall has been speculated to be linked with a possible deal for him to purchase Vauxhall Motors (the car company). I hope you will all enjoy this story and all comments will be happily accepted. #12 - We Can Do It! #2 - We Will Be Strong! #15 - We Can Do It! #12 - Gardner to make Vauxhall switch? #35 - Obi Anoruo: Thank you Vauxhall, Farewell! SIDE NOTE: Screenshot quality does improve in Season Four (Page 14). Apologies for the poor quality up until then! I have only been given an extra £150 for wages for new players. Seeing as the majority of my squad are on amateur contracts, I will probably look to tie down the better players from this group. 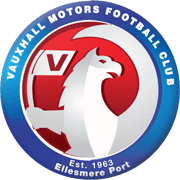 Vauxhall Motors Football Club is an English football club based in Ellesmere Port, Cheshire, who play in the Conference North (founded in 1963). It was originally the works team of the Vauxhall Ellesmere Port Car Plant. It had a lot of success in its local leagues and fought its way up to semi-professional status. They currently play in the Blue Square Bet North where they have sent the last few seasons avoiding relegation to the lower leagues. Vauxhall has never won a competition. Vauxhall Motors' colours are white with a strip of blue for the top and blue shorts with blue socks. The away kit is yellow shirts, green shorts and green socks. 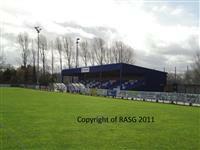 Rivacre Park has been the home of Vauxhall since 1986, the club having formerly played at Hooton Park. 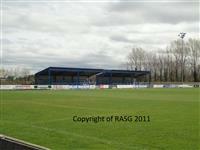 It has a capacity of 3,500 with covered stand and terracing, with space for 266 seated guests. That was just a little bit of information about the club. I would like to give a special thank you to sponge11rofc for the banner he made for me. I hope that how I have cropped the screenshots is acceptable for readers. I appreciate any comments or feedback you guys have to offer. As you can see I need a lot of new players. With the little money I have, I would do well to pick up good quality players. These two will be important players for me this season as I will need my best players of just a 16 man squad to perform. 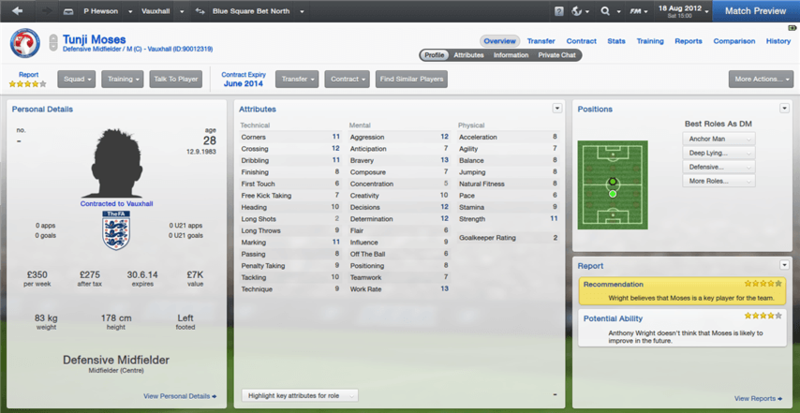 If you guys have any suggestions for tactics or for players to sign, don't be afraid to mention. This is new territory for me but I will give it my best shot. Good start Justice, keep it up! Thanks guys Friendlies and transfers will be posted later today. Thank you for the comment Aparently my goalkeepers are supposed to develop in to quality Blue Square North players but I don't want to wait around for that to happen. These friendly results have taught me a lot about the my squad. We have a lot of weaknesses and I will be looking to strengthen up quickly. Ashley Stoss scored 3 goals and might be a key player. Neither of my keepers are good enough for our division and I need a replacement. Ajagbe, Ennis and Moses will be crucial players for Vauxhall this season. Theother two were signed for depth in defence. I hope that these transers will help us on our quest to the top. I am looking to claim 4 points from these games. It is important to win my home games and that is what I plan on doing. I will update again after these four games. Like what i have read so far, Keep it up. You are reading "Vauxhall Motors - The Path To Power".